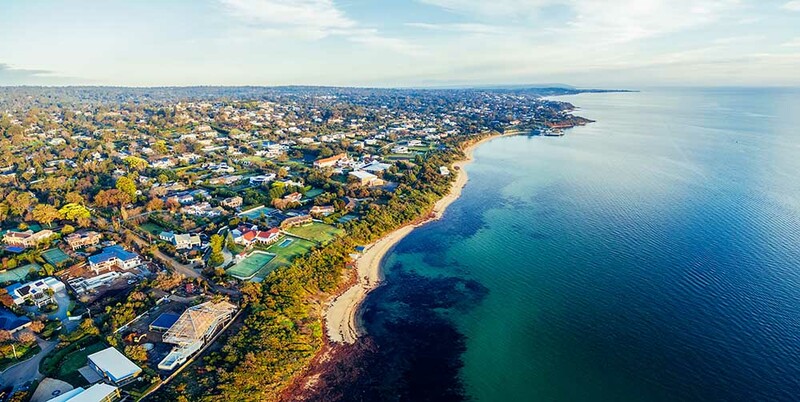 If world-class wineries, beautiful beaches and bushland, a caring community and access to Melbourne in under an hour are what you’re after, then the Mornington Peninsula is your place. It’s no wonder then that the property market on the Peninsula is highly competitive. However, it’s still possible to buy a home on the Peninsula if you have some know how and determination. Tara Vandeligt, founder of “Building Dreams: Mornington Peninsula” – the largest local peer to peer building and renovating firm in the community – gave us her insight into how to find property bargains on the Mornington Peninsula. Tara is a serial renovator and is always on the lookout for the next best value buy, to achieve a dream home on a realistic budget. If you have your heart set on one of the blue-chip locations (e.g. Mount Eliza, Mornington, close to water) but your budget is tight, Tara suggests considering a well-appointed villa or an older townhouse. She adds that these types of properties could prove to be a good first renovation ‘flip’ opportunity, because when finished they are likely to appeal to the wealthier downsizing market. Be careful when you’re bargain-hunting to make sure you are in fact getting a good deal. ‘The cheapest house may not be the most affordable. If a home has major structural defects or is inhabitable you will need cash available to fix this immediately. Otherwise, you will be stuck paying a mortgage on an empty house. Obtaining lending for such homes can also be difficult, so always get a building and pest inspection before bidding at auction, or make it subject to the terms of purchase,’ Tara explains. Once you’ve decided the Peninsula is definitely for you, you should secure your financing arrangements; houses move quickly in this area and you’ll need to be ready to buy when you find the one you want. One of the biggest challenges for families looking to buy a home is coming up with the deposit. If you already own a home or have a home-loan on your current property you may be able to use the equity in that property to help you secure a new home loan. If you’re buying your first home, you may be eligible for the First Home Owner Grant (FHOG) and the First Home Super Saver Scheme to help you get that deposit together. Most banks prefer a 20% deposit. However, saving a 20% deposit isn’t realistic for everyone when they are paying rent and have a family to support. Some lenders will accept as little as 5% deposit but be mindful that for deposits under 20% Lenders Mortgage Insurance (LMI) will apply. LMI provides protection to the bank in case your home loan goes into default. It protects the bank; it doesn’t protect you. Another option to consider is a Guarantor Loan. A Guarantor Loan is when someone else, usually a close relative such as a parent, uses the equity in their property to help you secure yours. This option isn’t right for everyone. There are some risks involved for the Guarantor. It’s smart to speak to a professional before applying for this type of loan. It’s important to note that the deposit isn’t the only upfront cost you will need to prepare for. There are other costs associated with purchasing a property such as conveyancing and in some cases Stamp Duty. Just as you shop-around to find the right property, you could potentially save money by researching different loan options. A Mortgage Broker can help you shop around, or you can do it yourself. Just be mindful that if you take the DIY option, every time you enquire about a loan directly with the bank it may be recorded on your credit file, which could jeopardise your chances of securing a loan. Entering the Mornington Peninsula property market might not be easy, but it is possible. Start by finding the perfect property that you can afford and then sort out the finances to purchase it.